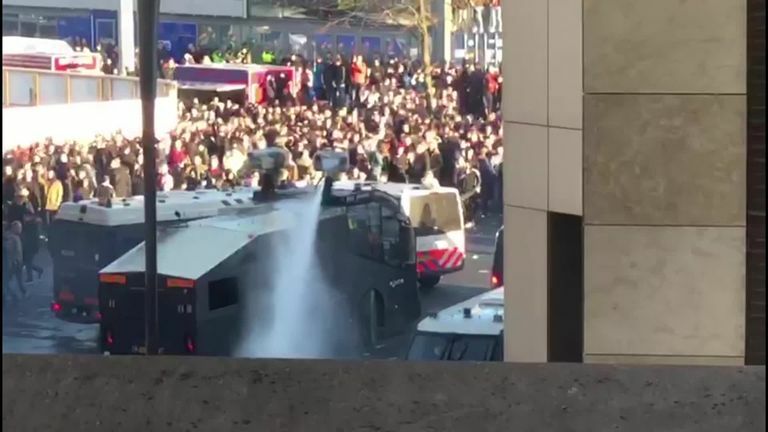 Police in Amsterdam say they fired a water cannon at football fans "to put out flares and prevent unsafe situations" ahead of the first leg of the Champions League quarter-final between Ajax and Juventus. 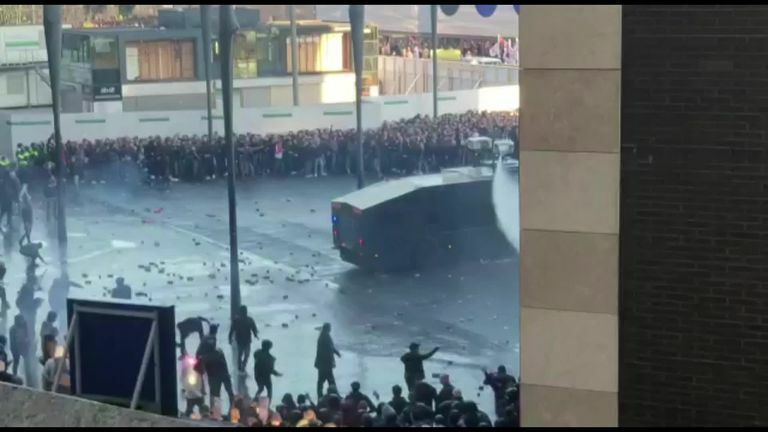 Images were circulating of scores of chanting fans being hosed by the water cannon and responding by tossing fireworks and flares at police before mounted officers charge at them followed by riot police. There has been no immediate word on arrests but Amsterdam police reported that Members of the Mobile Unit, supported by members of the detention unit, enclosed a group of fans near the Ajax training ground who were then transferred to a detention centre by bus. Earlier on Wednesday, police in the Dutch capital said they had detained dozens of Italians suspected of possessing flares, a knife, pepper spray and fireworks. Italy's Interior Minister Matteo Salvini took to social media to ask fans who are in the Dutch capital to: "Keep their heads on their shoulders. Football is beautiful, sport is beautiful, but with clean hands and a clean face without making noise."